I hope you’ve been following the recent controversy between the IRS and conservative nonprofits (if you haven’t, there’s a good round up of coverage here). There’s discussion around the fact that some conservative groups seeking 501(c)(4) status were more closely screened because they had the words tea party, patriot, or conservative in their names. The IRS has said that these words were used solely to identify organizations that might have more political advocacy activities, which is given higher scrutiny. Many are outraged, calling this discrimination, and several IRS officials have been forced to resign by President Obama. Clearly, something happened here. Maybe it’s because I like to see the good in people, but there’s a big chance this is all a misunderstanding. 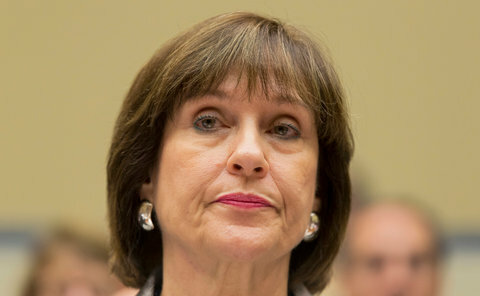 Whatever it is, Lois Lerner, the director of exempt organizations for the IRS, was asked to testify last week before a House committee. To the detriment of the entire sector, she asserted her Fifth Amendment rights and stayed silent. Check out this great opinion piece that the New York Times ran: Remaining Silent on the I.R.S. I have to say I agree with everything that’s said there. We all know how the nonprofit sector is only highlighted when there is some sort of controversy to discuss. As the opinion piece mentions, it is quite likely that nothing went on. But Lerner should play ball and eat a little crow for the good of the sector. Explain what happened, own up to it, and it’ll all be over. Instead, by staying silent, she’s keeping it even more of a mystery, and drawing it out to be whatever is in the media’s imagination. This can be said for any professional challenge. Even if you make a big mistake, talking it through with your boss is always the way to go. Open communication is always better than none at all, especially when you represent the nonprofit sector to the world.